More than 100 indi individuals seen during the last few days including an ad. Kumlien's Gull..
First certain for Romania if accepted. 1 3cy, L. g. kumlieni , Lago, Xove, N Galicia, Spanien. <0,5 km from a Thayer's Gull. 1 ad., ssp. L. g. kumlieni, Nemiña beach, Muxía, NW Galicia, Spanien. 1 1w (ssp. L. g. kumlieni), Enseada da Insua, Ponteceso, NW Galicia, Spanien. 1 2cy, L. g. kumlieni, Suevos, Arteixo, NW Galicia, Spanien. Present from 30-01-2013 to 06-03-2013, now again at O Matadoiro beach in Suevos. 1 3cy, Poznań, Wielkopolskie, Polen. 4th record this winter in Poland. 1 3 cy, La Rochelle, Frankrig. Lots of new birds have arrived including at least 15 ssp. kumlieni..
More than 200 Iceland Gulls in one harbour!. 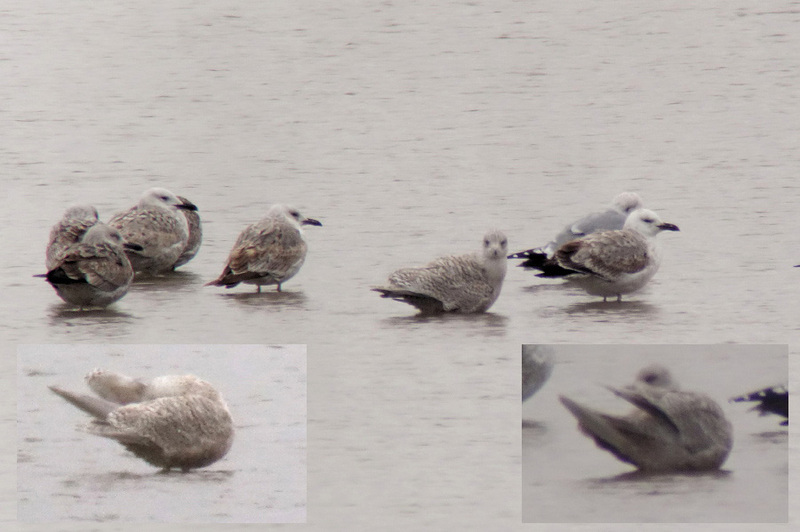 Highest count so far in one day. .
ssp kumlieni - Kumlien's Gull - 3cy. Probably the largest gathering ever seen on the Faroes at one location. At least 8 ssp. kumlieni..
664 Iceland Gulls including 47 Kumlien's Gulls have been seen since the beginning of january..
Kumlien's Gulls. Third Kumlien's for the Netherlands if accepted. At least 10 being ssp. kumlieni. Five Iceland Gulls were found dead on a beach..
At least 30 in Klaksvík Harbour alone including three Kumlien's Gulls..
About 50 have been seen during the last week. About five have been Kumlien's Gulls..
Less than 10 records in Spain of this taxon. Ssp. 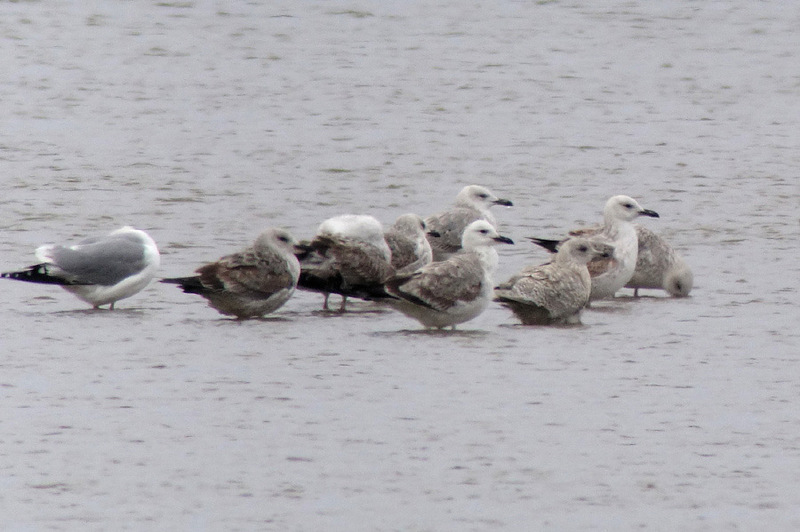 kumlieni - with 9 Iceland Gulls. Eighter a dark kumliens gull or a thayer's gull. Two 3cy and one ad. ssp. glaucoides and two 2cy ssp. kumlieni. About 30 iceland gulls have been seen the last weeks and at least 3 being ssp. kumlieni. Ssp. 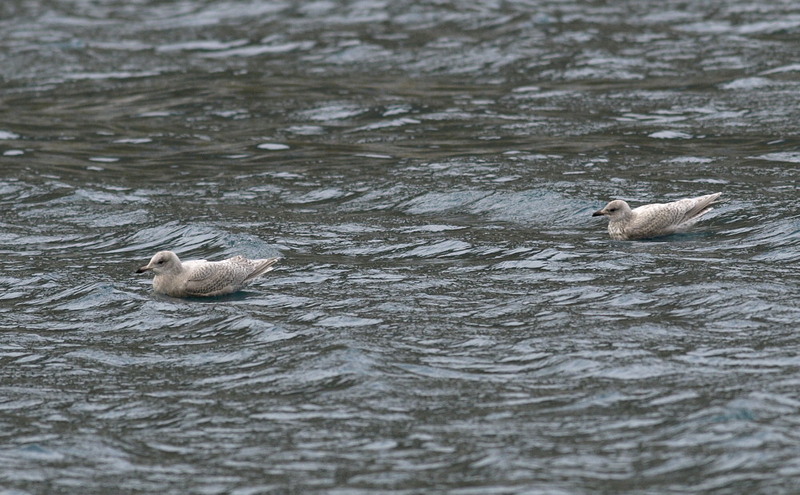 kumlieni among several iceland gulls. update: probably glaucoides after all, and not kumlieni. Comments still welcome..
1 Espigón Juan Carlos I, Huelva, Spanien. 1 1 cy, Costa de Chipiona, Cádiz, Spanien. 1 Costa de Chipiona, Cádiz, Spanien.